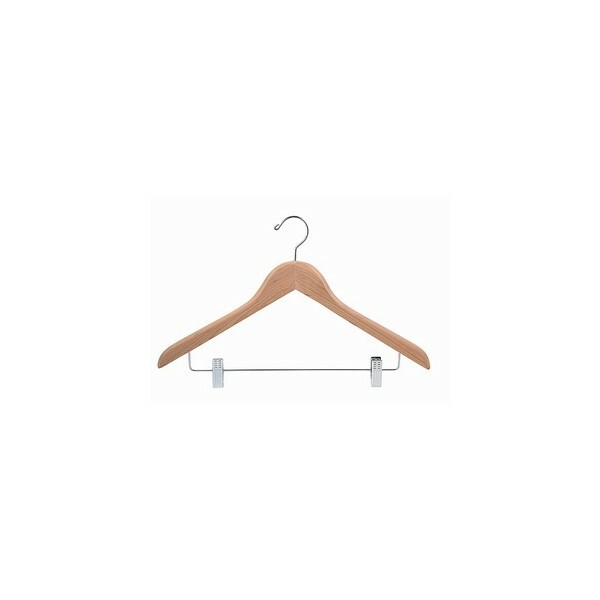 This cedar combination hanger has a chrome swivel hook and features a flat design great for saving space. 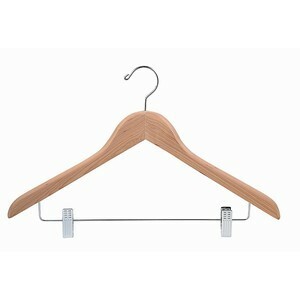 Incredibly strong, this hanger is made from a solid piece of cedar wood for durability. The chrome swivel hook matches the adjustable padded clips. Sold in lots of 25 and 50.